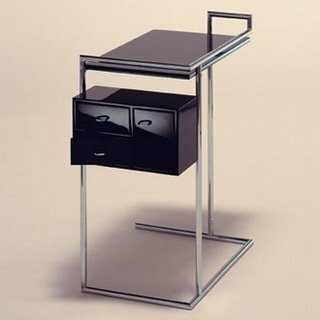 Dressing table consisting of table-top and suspended box with two swivel out drawers and one door. Frame of chromium-plated steel tubing. Table-top and box high-gloss lacquer finish in black.